The most exciting vehicle on the market isn’t a million-dollar supercar, a broad-shouldered truck, or a seven-passenger SUV. No, the car the world can’t wait to drive is an all-electric sedan from a startup automaker called Tesla. How did this happen? 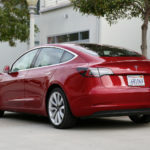 When did the consumer mindset shift from EV (electric vehicle) apprehension to admiration? We could cite rising fuel prices, diesel emissions scares, or the advance of battery technology – all of which are valid contributors – but there’s something more to the story. Tesla has rattled the entire automotive industry by doing what most manufacturers said was impossible – or at the very least unreasonable. 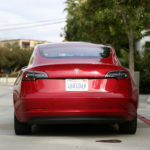 By making EVs cool; by promising affordable, innovative products, Tesla has forced the hand of automakers lest they yield too much business to the technology upstart. The Model 3 isn’t the only long range EV available for less than $40K (see also the 238-mile range Chevy Bolt EV), but it is directly responsible for its own competitors. Today, we find out how the Model 3 stacks up within a segment it helped create. As we evaluate our test car, keep in mind it is not the stripped down vehicle for the everyman. Rather, this example is equipped with the long range, 310-mile, package ($9,000), the premium package ($5,000), enhanced autopilot ($5,000), 19-inch sport wheels ($1,500), and red paint ($1,000). The final tally on options brings the as-tested price to $56,500 —before destination charges ($1,200), and before tax incentives (currently $7,500 federal, plus whatever your state offers). 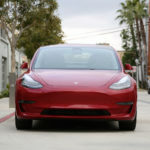 This particular Model 3 is indeed expensive, but according to Tesla’s delivery timeline, it is also among the first category of vehicles scheduled for delivery. Of the more than 500,000 pre-orders, those who chose well-equipped Model 3s have begun to receive delivery. In late 2018, dual-motor (all-wheel drive) examples will begin rolling off the assembly line. Finally, in early 2019, standard battery, non-premium units will reach customers. 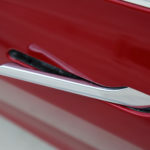 Typically, we spend time dissecting a car’s exterior design, but in the case of the Model 3, we are eager to dive into the interior technology and driving dynamics. 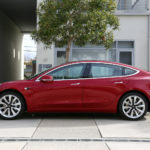 We’ll say this about the exterior styling: the Model 3 is conservatively handsome and upscale to an equal measure as its traditional luxury competitors (the BMW 3 Series and Mercedes-Benz C-Class). 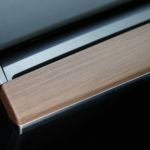 No automotive experience prepares you for the Tesla’s reductionist approach to interior design. Drivers have just two points of engagement: the steering wheel and the prominent center screen. The only buttons on the entire dashboard are the two controllers on the steering wheel (plus the government mandated hazard light switch on the roof). Elsewhere, each door has its own release button and window switch. At first, this all feels too refined, too minimalist. Just an hour later, though, we can’t fathom why other cars have so many screens, dials, and physical controls. 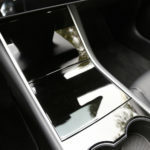 The success of Tesla’s Spartan atmosphere relies on the usefulness of its 15.0-inch center touchscreen. People joke that it looks like an Apple iPad fixed to the dash – but isn’t that a compliment? The iPad is responsive, vivid, and user-friendly. Each of these descriptors applies to Tesla’s interface. There is zero delay between input and reaction, the menu structure is intuitive, and the visuals are crystal clear. 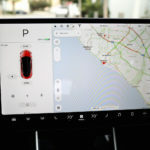 Google Maps powers the navigation system, and nearby Tesla Superchargers are shown along with the number of available charging stalls. To reduce any sense of range anxiety, the map shows precisely how much battery power or range remains once you reach your destination — and any trip that will otherwise drain your battery adds a stop at the most convenient charging station. The real beauty of Tesla’s system is that any imperfect feature is likely well on its way to being fixed via an over-the-air update. Customer feedback (via tweets, emails, and calls) is collected and turned into improvements with the speed only a startup can provide. Today just the front seats are heated; in two weeks the rear seats will be heated as well. If there’s a single letdown to the Model 3’s infotainment, it’s that Apple CarPlay and Android Auto are notably absent. Wi-Fi, Bluetooth, HD radio, and other conveniences are on-board, but we long for a dedicated smartphone interface that will read our text messages and play our audiobooks. Instead, the Model 3 has Easter eggs like Santa Mode, an easel, Mars exploration, and Rainbow Road autopilot. Speaking of autopilot: holy hands-free, Batman! 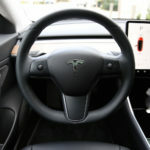 Tesla cautions that, in its current form, autopilot is merely a Level 2 autonomous system and should only be used as a highway driving aid – to reduce fatigue. You can and should use it that way, because it is brilliant. However, in the name of science, our autopilot test (with at least one hand on the wheel) extends to city traffic and highway transitions. It is abundantly clear that this is the most sophisticated driver aid of any vehicle class. Rain or shine, day or night, the system finds lane markings, notes the speed and position of surrounding vehicles, and moves you along in the safest, most efficient way possible. 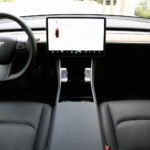 If you deviate from intended use, it is possible to trip the system up, but it doesn’t take a great imagination to picture the next stage of Tesla’s autonomy. We can’t wait. 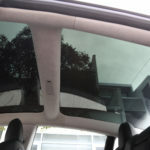 As traditional luxury goes, the premium package Model 3 offers comfortable leather seats, dual-zone automatic climate control (directing air from an interplay of two channels within the dashboard), heated front seats, a tinted UV and infrared protected panoramic glass roof, microfiber suede headliner, open pore wood trim, premium audio and more. Without a transmission tunnel or engine, the Model 3’s interior volume is tremendous. Five full-size adults fit with leg and headroom to spare. 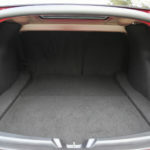 The combination of a front and rear trunk affords a generous 15 cubic feet of cargo capacity as well. Though one day soon the Tesla Model 3 may drive itself in all conditions, today, we need to work the pedals and the wheel. You won’t hear us complaining. 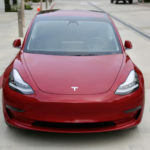 With a structure comprised of aluminum and high-strength steel, the standard Model 3 weighs 3,550 pounds and the long range checks in at 3,838 pounds (directly in line with the 3,555-lb BMW 340i and the 3,830-lb Mercedes-Benz C-Class). This is no portly sedan. 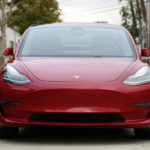 Furthermore, with the batteries integrated beneath the floor, a rear-wheel drive configuration, and a 48:52 front-to-rear weight bias, the Model 3 is textbook sport sedan. Our long range tester sprints to 60 mph in just 5.1 seconds and achieves a top speed of 140 mph. From the driver’s seat, we swear it feels quicker. The low center of gravity lends itself to impressive cornering stability and even a hint of manageable over-steer when prodded. 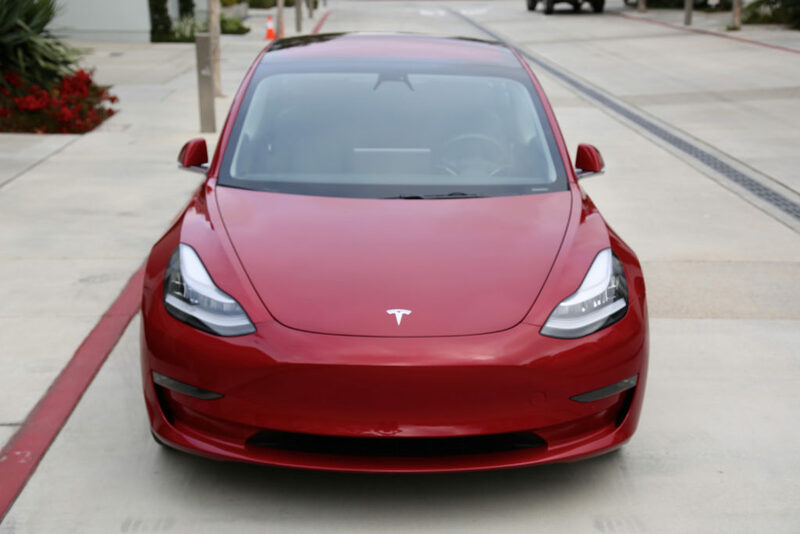 Combined with a variable-ratio steering rack that has three selectable levels of resistance, the Model 3 is a silent but serious thrill ride. One key element of the driving experience is regenerative braking. Peeling off the throttle at city speeds, with sufficient room to slow, is often enough to bring the car to a complete stop. Not only does this save your brake pads and rotors, it is a good way to extend your range over time. Those who prefer a smoother transition off the throttle can select a “low” setting for the braking regeneration. Regen has already shown its benefits in motorsports applications and we can imagine this benefit working much the same way for weekend track warriors. 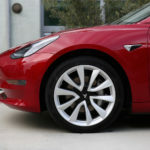 Like the Model S, the Model 3 offers a choice of brake holding (which allows you to take your foot off the brake when stopped and not worry about the car rolling forward), or “creep” mode to mimic an internal combustion car in gear. We quickly adapt to taking our foot off the brake at stoplights and to the regenerative brake slowing. It may be harder to go back to a traditional driving experience than it is to adapt to the Model 3’s assisted one. Choosing between 220 miles of range or 310 won’t be an easy decision for everyone. Is 90 miles worth $9,000? That depends how you plan to use the car, if it is your only car, and how soon you want to receive your Model 3. In addition to these considerations, factor in that Tesla only offers supercharger credits to Model S and Model X owners. 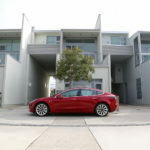 Tesla charges a certain fee per kWh that varies by your state of residence and sometimes by charging speeds. 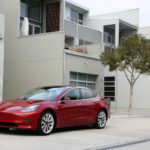 For now, this minimal rate is nowhere close to the cost of filling up a tank of gas, but the process still takes longer – 130 miles of range is restored in 30 minutes for standard Model 3s and 170 miles in 30 minutes for long range versions. 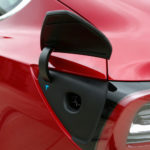 Those who are considering the Chevrolet Bolt or other EVs will have a much harder time finding a fast charging option. Of course, if you install a 240V charger at your residence and charge overnight, you may only need to visit a fast charger once in a blue moon. In our effort to drain the Model 3’s long range battery, we cover an honest 300 or so miles before pulling into a supercharger nearby a Costco. All of the 16 stalls are filled when we arrive, but after a few minutes, an opening appears. 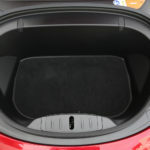 After backing into the spot, we pop the charger port via our Tesla smartphone app (which also can be used to flash the headlights, honk the horn, lock or unlock the doors, open the two trunks, or even remotely set the climate control) and plug in. After a quick grocery trip to Costco – during which time we monitor the Model 3’s charging progress – we return to find 230 miles of fresh range. Simple. 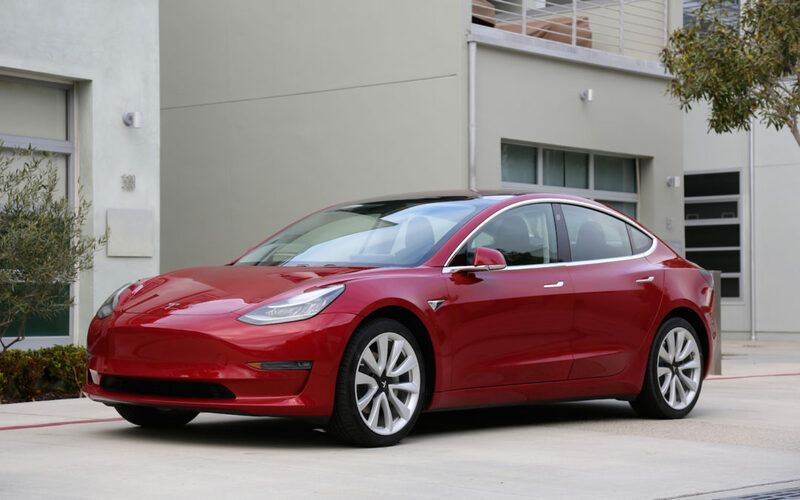 The Tesla Model 3 exceeds every expectation we’ve thrown its way – as both an attainable EV and luxury sport sedan. 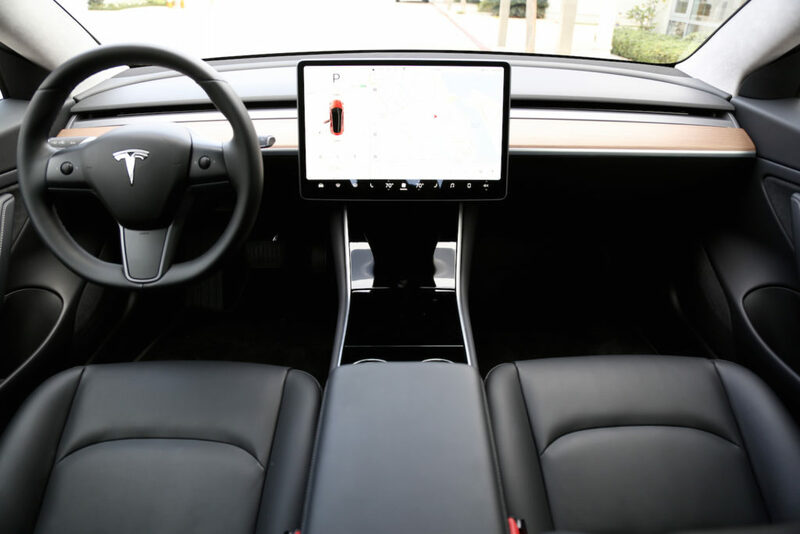 The conveniences, ride quality, and performance luxury buyers expect are further enhanced by the Model 3’s class-leading driving aids and infotainment. 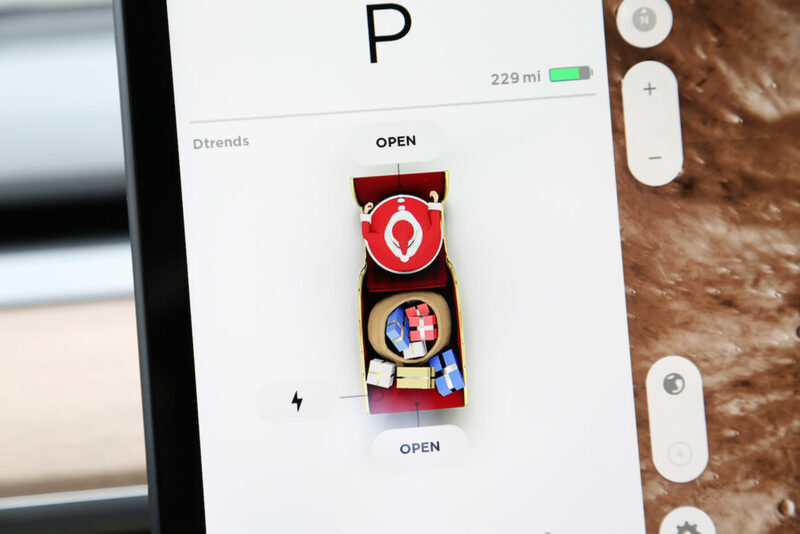 Tesla may be experiencing the growing pains most mainstream automakers have long overcome, but the tech startup has much to teach the automotive industry about how to build a compelling product. Arguments against the Model 3 are few but fair. With an available range of 310 miles and a host of excellent charging options, range anxiety is all but a thing of the past. 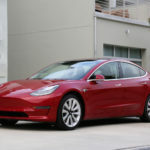 The lack of Apple CarPlay and Android Auto is a bummer, but with Tesla’s over-the-air updates, it’s only a matter of time before the Model 3 has a workable solution. Perhaps the biggest issue is supply for all this Model 3 demand. 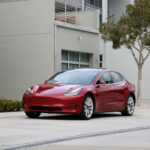 In the near term, only those who put in early orders or who have the means to load their vehicle with options can expect a Model 3 delivery this year.